The needs for hospitality and catering skills as well as for food safety knowledge reflect the economic character of Ventspils region, whereas the need for beauty therapy skills is evidenced by popularity of the subject in Panevėžys region vocational schools. Adults in both regions also look for soft employability skills. The project aims at helping adult employees to adapt to rapidly changing technology environments and to embrace social skills. Due to challenges faced by the labour markets and regional economies, there is a need for a well-balanced marketing mix of the educational programmes, and some radical changes at programme and institutional levels, while looking for some very strong differentiating factors. While tackling inefficiency of labour market of the Programme area, improvement of the education system through introduction of systemic approach to the solution, while involving relevant stakeholders and applying innovative technologically and methodologically sound teaching and learning methods, could lead to impactful results, especially from the perspective of people striving to become the entrepreneurs or adjusting to rapidly changing demands for work quality. The objective of the project is to enhance employability and encourage students to gain skills to help them with career progression, while providing recognition for learners’ abilities and evidence of the skills required for success in the workplace. It is intended to carry out analysis of the current programs that are used to address targeted skills, and teaching processes that will lead to preparation of gap analysis and roadmap for introduction or update of the vocational programmes. The project will make an analysis of the current programmes of Ventspils Vocational College and Panevezys Centre of Vocational Education, based on which a roadmap for programme development and deployment will be prepared. Latter four vocational training programmes will be updated and developed based on internationally recognised standards and using the best global practices. Programme “Work Skills” includes self-management Skills, Self-assessment, Working in a Team, Giving and Receiving Feedback, Personal Skills for Leadership, Presentations for Work, Negotiation Skills and Persuasion in the Workplace, Critical Thinking, Solving Work-related Problems, Project Management Skills, Skills for Starting a Business (130 learning hours). Programme “Hospitality and Catering Principles” (Food and Beverage Service) includes principles of customer service in hospitality, leisure, travel and tourism, food safety in catering, service of food at table, and service of alcoholic and non-alcoholic drinks. In these qualifications learners will develop the underpinning skills, knowledge and understanding required to work in the hospitality industry (160 learning hours). Programme “Practical Food Safety in Catering” covers the basic understanding, knowledge and skills required to operate safely within food handling situations in the catering and hospitality industry (40 learning hours). Programme “Beauty Therapy“ includes waxing techniques, facial techniques, facial skincare, make-up and body art application, and giving manicure, pedicure, eyelash and brow treatments (263 learning hours). 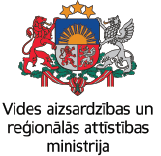 The programmes will be piloted, while involving at least 100 persons (60 from Latvia and 40 from Lithuania). As a result of the project, two schools in Programme regions will be capable of delivering high quality training programmes in compliance with international standards.